Published: Nov. 16, 2014 at 09:56 a.m. Updated: Nov. 16, 2014 at 04:08 p.m.
Marshawn Lynch is expected to play Sunday for the Seattle Seahawks, but the end of the Beast Mode era is in sight. 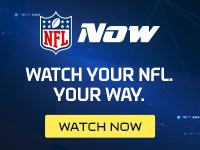 NFL Media Insider Ian Rapoport reported on NFL Network's GameDay Morning on Sunday that the Seahawks plan to move on from the running back after the 2014 season. "Everything I'm being told by people involved in the situation, nothing has changed with the Seahawks' plans to part ways with Marshawn Lynch after the season," Rapoport said. The team has attempted to find Lynch's replacement, drafting Robert Turbin and Christine Michael in 2012 and 2013, respectively. However, aside from a few flashes from each, neither back has looked like they could be the workhorse. "Neither of those guys have turned into franchise backs," Rapoport said of Turbin and Michael. "... I would expect them to target a running back high in the draft. Pay attention to Melvin Gordon, who just set the national rushing record. He's from Wisconsin, (Seahawks GM) John Schneider (is) from Wisconsin ..."
Every time Seattle attempts to ride another back, they always come back to Lynch to straighten out the offense. However, looking down the road, Seattle will move on from the back to save money, which they need for Russell Wilson's eventual big contract.